Julie Parsons was born in New Zealand. Her parents emigrated there from Ireland in 1947. In 1955 her father went on a medical mission to the remote Tokelau Islands, but the boat on which he and 25 others were travelling disappeared. His body was never found. The family returned to Ireland eight years later when Julie was 12. She says she writes thrillers and mysteries because there is such a big mystery about her father's disappearance. "I can’t solve the mystery of what happened to my father but I can, in my creative life, tell stories which have a mystery at their heart, and I can solve that mystery every time." She went to school in Monkstown in County Dublin then studied social work at University College Dublin. "It didn't take me long to figure out that the social workers were all middle-class and their clients were all working-class and I wasn't comfortable with that at all," she recalls. She worked as a researcher on RTÉ radio's Gay Byrne Show, then as a radio and television producer. Her first thriller, Mary, Mary (1998) was translated into 17 languages and enabled her to write full-time. It was followed by The Courtship Gift (2000), Eager To Please (2001), The Guilty Heart (2003) and The Hourglass (2005). 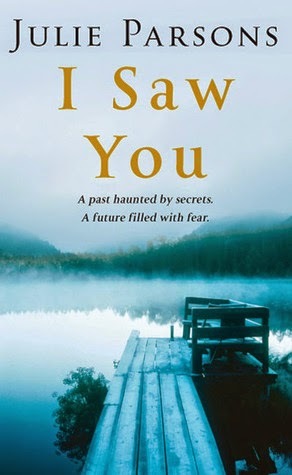 Her latest crime/suspense novel, I Saw You (2008), is a sequel to her debut novel Mary, Mary and features several of the earlier characters: DI Michael McLoughlin is recently retired from the police force but continues to be haunted by the case of the young woman who was brutally murdered, and by the love he felt for the victim’s mother Margaret. Parsons now divides her time between Dun Laoghaire and Sherkin Island in County Cork.